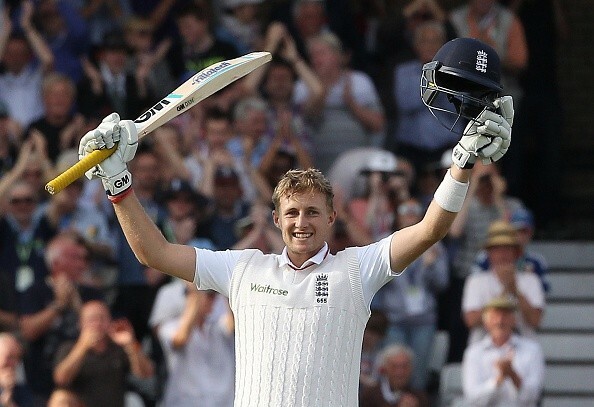 Root’s 130 in England’s only innings of the fourth Test was enough to move to the top of the rankings. England batsman Joe Root has moved to the top of the Test batsmen rankings, ESPNCricinfo reports. The 24-year-old scored 130 in England’s first innings and coupled with Steven Smith’s failure in the Trent Bridge Test, swapped places with the Australian vice-captain to jump from the No 3 spot to the top of the rankings. Root, who moved into the top-five for the first time in his career after the first Test in Cardiff, has been having an impressive Ashes series. He has scored 443 runs at an average of 73.83 and his two centuries have come in winning causes. AB de Villiers retains the second spot while compatriot Hashim Amla and Sri Lankan Kumar Sangakkara, who will retire after the second Test against India, round off the top 5. Virat Kohli is the lone Indian in the top 10, sneaking in at the very bottom of the list. England regained the Ashes after decimating the visitors in the fourth Test earlier today, winning the match in just over two days by an innings and 78 runs. Root will look to put further daylight between himself and the chasing pack by continuing his rich vein of form in the fifth Test which begins at The Oval on August 21.